I’m usually the type of guy who needs to see something to believe it. But sometimes things don’t work out that way. 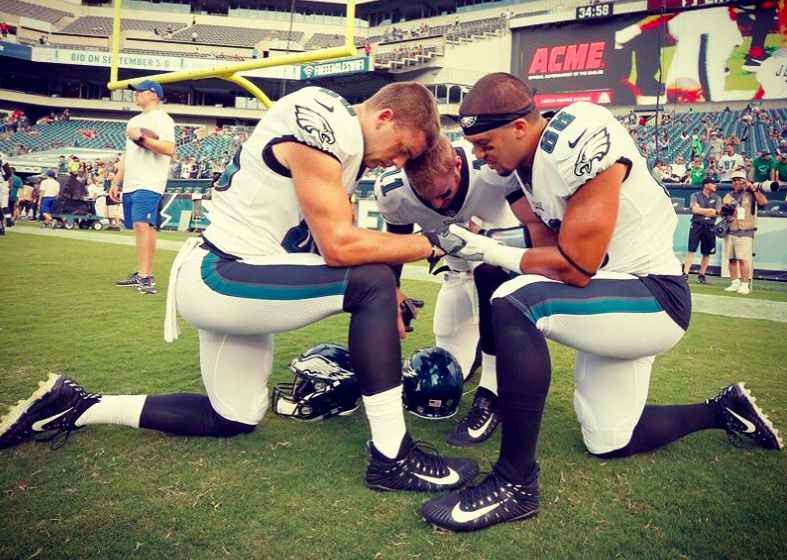 Within our Christian community on the Eagles, we’ve each picked two or three guys to pray for throughout the year — men we would love to see come to know Christ or draw closer to Him by the end of the season. It’s been incredible to watch as some of these men we’ve been faithfully praying for have undergone complete heart changes, being softened to the Gospel and asking questions about our faith. As they try to figure out and understand more of the Gospel for themselves, we’re experiencing that prayer works in powerful ways. Sometimes it’s easy for me to think I don’t have to pray about certain things because God’s will is going to be done either way. But there are many stories throughout the Bible where men of faith prayed for God to take action or have mercy on a certain people group and God changed His mind in response to their prayers (see Exodus 32:14, Jonah 4:2 and Amos 7:3-6 for a few examples). By reading and remembering these stories, I’m encouraged to intercede more fervently and frequently for people’s hearts to change and things to take place. Before I entered the league, I remember praying about the draft. I really thought I would be picked, but the draft came and went and I was without a team. Soon after, I was at a family reunion (before which I told everyone I would be drafted by the time the party took place) and I was so disappointed. During that day my wife and I drew away to a quiet place in the house and sought after God. We prayed and asked Him what He wanted us to do and where He wanted us to go. 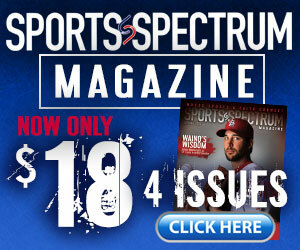 As time went on, it seemed like I had a few teams possibly interested, but there was only one option that stood out. I felt like Philadelphia was the only real shot I had. Next thing I knew, the head coach was calling me, asking me to be on the team! I was the sixth tight end on a roster that could only hold three for the season, but even though the odds weren’t in my favor, somehow I made it on the team for the season. God had a plan. Our prayers aren’t always answered in the way or timing we hope for. Every prayer is answered, whether God says “no,” “yes” or “not yet.” He’s always working and His will always will be done. He calls us to believe in Him and be faithful to continue in prayer. It’s not always easy, especially when you don’t see any immediate results and you think you know what needs to happen. But God knows the end result. We just need to be patient and persistent in our prayers. It’s also important for us to look back and remember the ways God’s answered our prayers in the past. This helps give us patience, hope and trust during the times we may struggle to have faith in His plan. But why do we pray? If God’s plan will be done, why do we need to intercede? Because the more we communicate and draw near to God, the more our hearts will be changed in the process. In order to have a meaningful and lasting relationship with anyone, there needs to be good, consistent communication. If you never communicate with your wife, things will not end up well. By reading God’s Word and talking to Him, you will have a better understanding and love for who God is, and your relationship with Him will deepen. Praying faithfully to God keeps my perspective on Him; it reveals to me the ways I need to submit to Him. And the more committed I am to Him, the more powerful my prayers, thoughts and actions will be. I want His will to become my own.